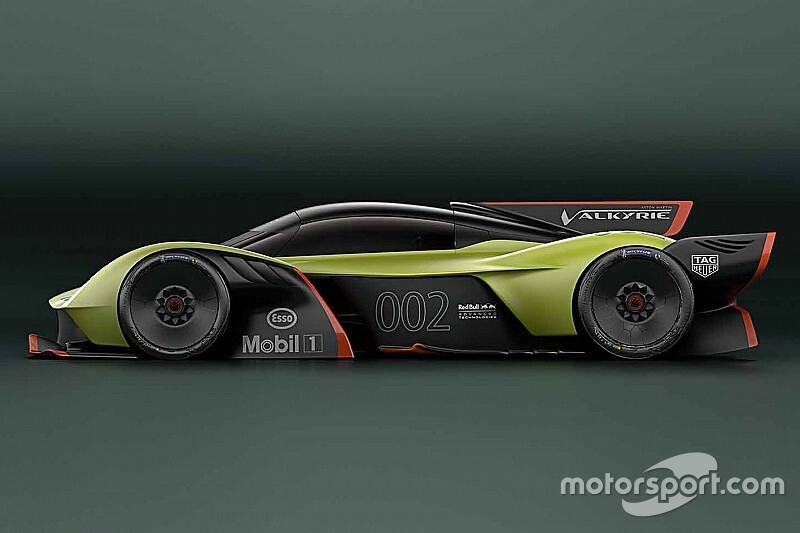 Aston Martin is among a group of manufacturers pushing for major changes to the hypercar concept prototype regulations due to be introduced for the 2020/21 World Endurance Championship. The group, which is believed to include McLaren and Ferrari, has proposed that they should be allowed to develop a car for the new category out of a road-going hypercar rather than building a bespoke racing prototype that would incorporate only styling cues from street machinery. The manufacturers are believed to be arguing for the changes to the rules published in draft form in December on financial and marketing grounds. 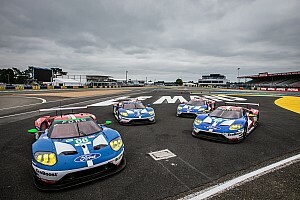 It is understood that they contend that the €20 million-a-season budget projected by the rule makers, the FIA and WEC promoter the Automobile Club de l'Ouest, remains too high despite aggressive cost-cutting measures, and that it’s also a conservative estimate. They also appear to feel that a WEC contender based on a true road car would make the category more commercially attractive to manufacturers. Aston Martin could base a car for the new top class of the WEC and the Le Mans 24 Hours on its forthcoming Valkyrie, which is being developed in conjunction with the Red Bull Racing Formula 1 team with input from chief technical officer Adrian Newey. McLaren has the forthcoming Senna hypercar, which was unveiled at last year's Geneva motor show, while Ferrari could use the LaFerrari. 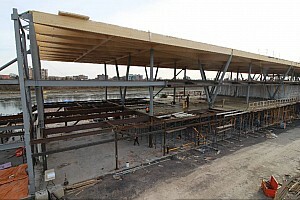 Aston is not commenting on the revised ideas being proposed, but a spokesman has reiterated that the marque remains "fully-engaged in the rule-making process" while stressing that "no decisions have been made". The group is known to have met with representatives of the the FIA and the ACO, also the Le Mans organiser, to outline a revised vision of the hypercar concept earlier this month. 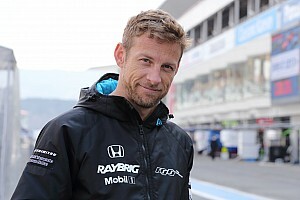 The WEC has also refused to discuss the latest moves, only issuing a brief statement when questioned about the rules. "The question of the hypercar regulations for 2020 is being discussed on a regular basis between the FIA and ACO – who formulate the regulations – and the constructors," it read. “We are not able to answer questions right now, but a media briefing on this subject is planned for the week of the Sebring 1000 Miles [the next round of the WEC on March 15]." But the rule makers are known to have asked for data from the manufacturers about their hypercars to see how they might be incorporated into the new regulations. This could prove problematical, because of strict new safety regs due to come into force with the next top division of the WEC. As well as increased crash-test loads, extra space around the driver's head and legs is being mandated, enforced by the insertion of templates into the car. There are also rules governing the siting of the front motor-generator unit and the battery for the hybrid system. These are integral to the regulations that lay out the permissible front/rear weight distribution of the cars, which is one of the key tenets of a class in which maximum downforce and minimum drag levels are prescribed. The Valkyrie and the LaFerrari hybrid systems power the rear axle only, while the hypercar rules mandate energy-retrieval on the front axle only. 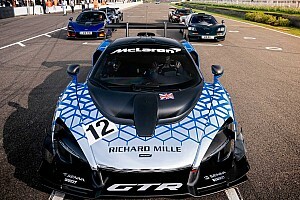 The McLaren Senna road car is non-hybrid, unlike its predecessor the P1. The push for changes to the philosophy of the rules comes at a time when no major OEM has made a firm commitment to the hypercar prototype category for 2020. Meanwhile, Toyota has outlined an intent to continue in the WEC in 2020/21 when the new regulations come into force, but there was no confirmation of a programme when it made its annual motorsport announcement earlier this month.